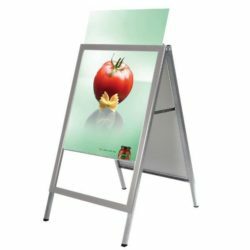 Overall Size: 26.24" x 45.28"
Packing Size: 28.35" x 50" x 3.35"
Top opening Slide-in A Board . Great for outdoor use. Black finishes. 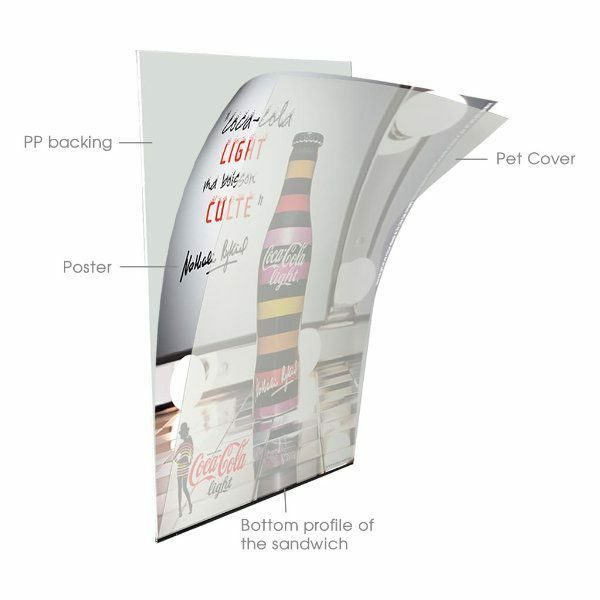 Poster stands stable in between cover and backing. Rubber feet increase the product life as well as giving a clean finish to Slide-in A Board. Single packed with an easy mounting instruction sheet. Bottom profile of sandwich slide-in panel provides easy application. 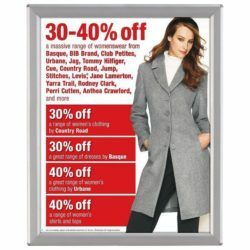 Share messages with customers using this 24×36 inches weatherproof A board sign in silver color. 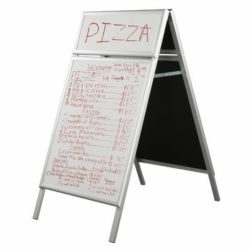 Simply set up the sign to share your message in a stylish and convenient way. 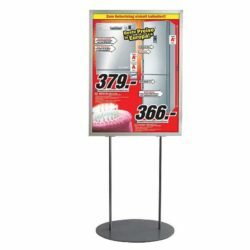 This aluminum slide in yard sign is hinged so it folds out and stands balanced and stable on its own. Display two separate slide in frames inside the sidewalk sign. Simply slide out the old sign, and then slide in the new sign. 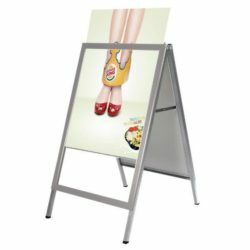 These top loading frames accept posters and paper signs up to 0.008 inch thick. Solid backboard of the frame ensures that the poster that slides into the frame stand upright and does not slide down. The sign has 2 anti-glare poster cover sheets. 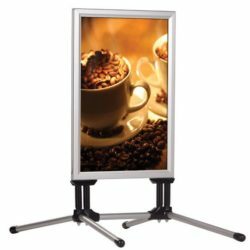 These non-glare overlays are to protect the posters from dirt and any damage as well as to prevent glaring. Good product! I used it all summer to alert the public to our National Park Ranger Campfire talks. Will be ordering some more for other programs at additional locations.